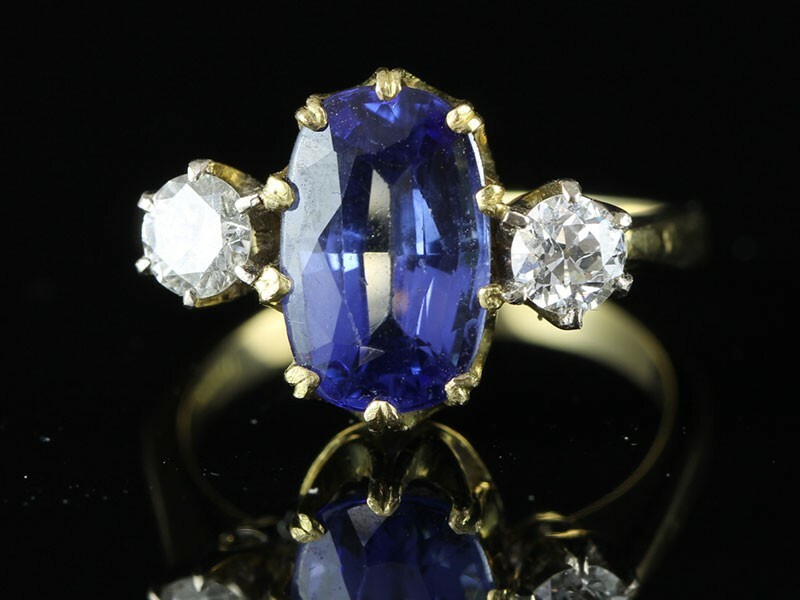 Ceylon Sapphires are part of the Corundum gem family and are second only to Diamonds in hardness. 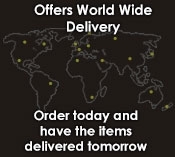 This strength makes them an excellent choice of jewellery because of their durability. 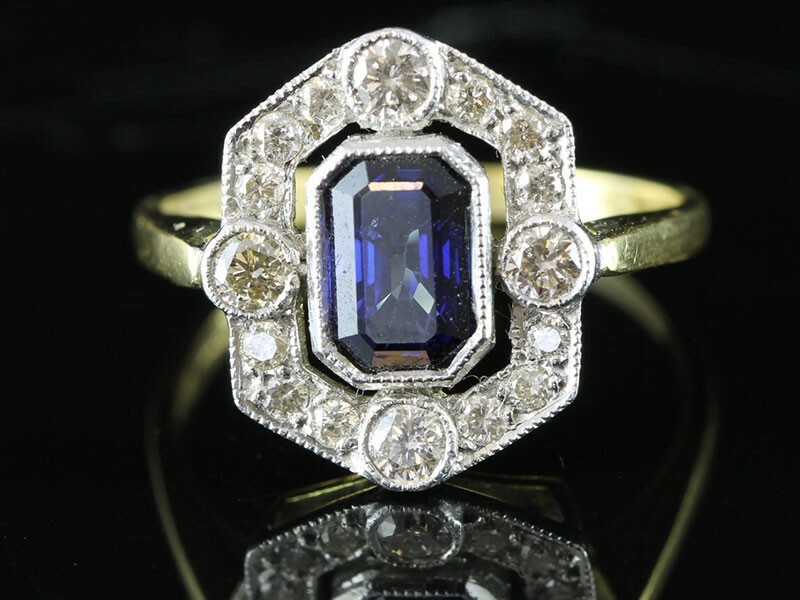 This striking, stunning Art Deco inspired Sapphire and Diamond ring highlights a bright and beautiful 1.00 carat velvety blue Ceylon Sapphire. The entrancing collate set Ceylon Sapphire radiates from the centre enveloped in a sparkling cushion of pave set Diamonds. 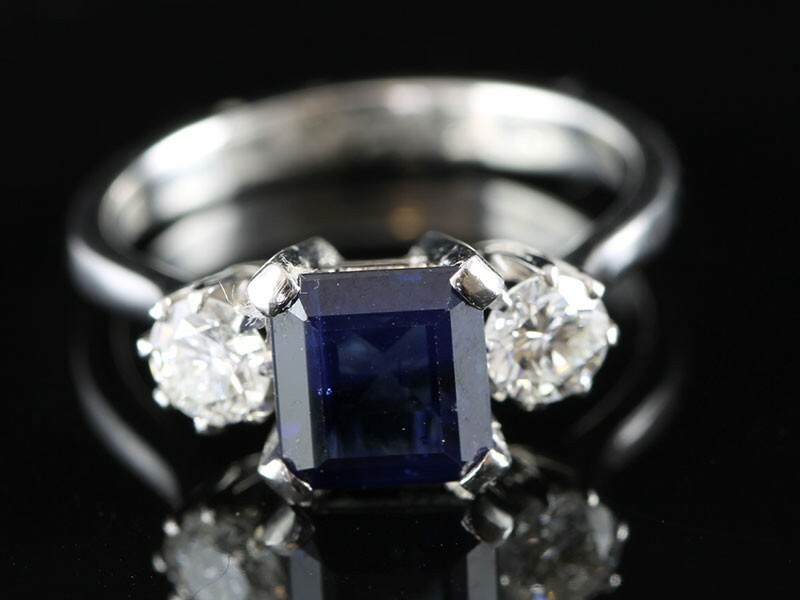 It will challenge the power of your imagination to improve upon the colour of this intense electric-blue Sapphire, weighing a lucky 1.00 carat. This gorgeous and enchanting Sapphire is elegantly presented in 18 carat white Gold atop and between sparkling chevrons set on both sides and full of tiny full-cut Diamonds. 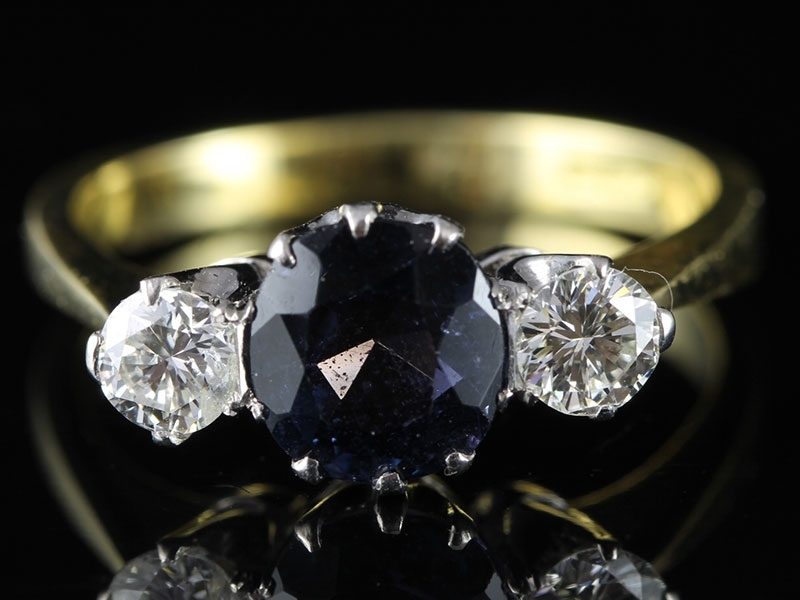 This exceptional, original oval Ceylon Sapphire and Diamond three-stone ring, dating from the late-19th century, showcases a vibrant light-medium blue sapphire weighing 2.00 carats displaying distinct violet overtones. 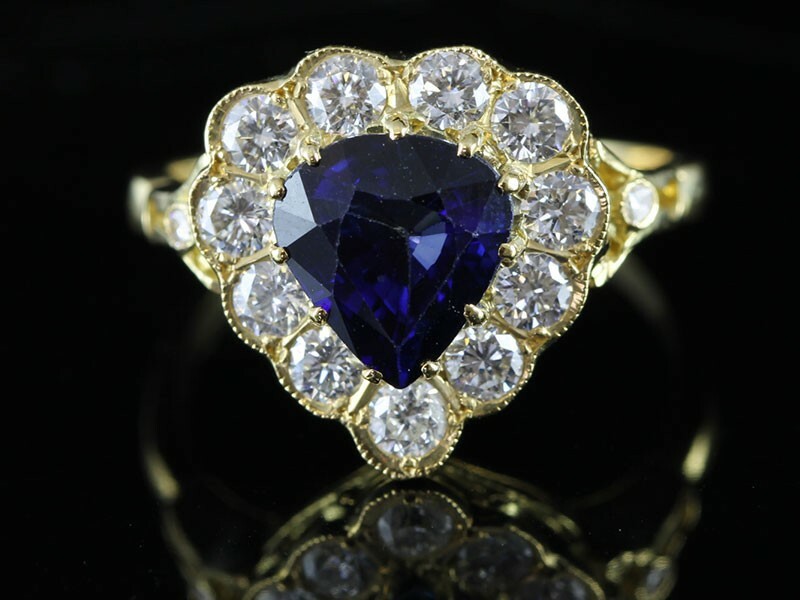 A stunning one carat Royal Blue Sapphire and Brilliant Cut Diamond Ring in a beautiful 18 carat Gold exquisite pierced ornate gallery. Two beautful dazzling Brilliant Cut Diamonds are set in a finely milgrained, circular bezel setting is the sparkling center of attention of this distinguished and highly distinctive Art Deco inspired ring. 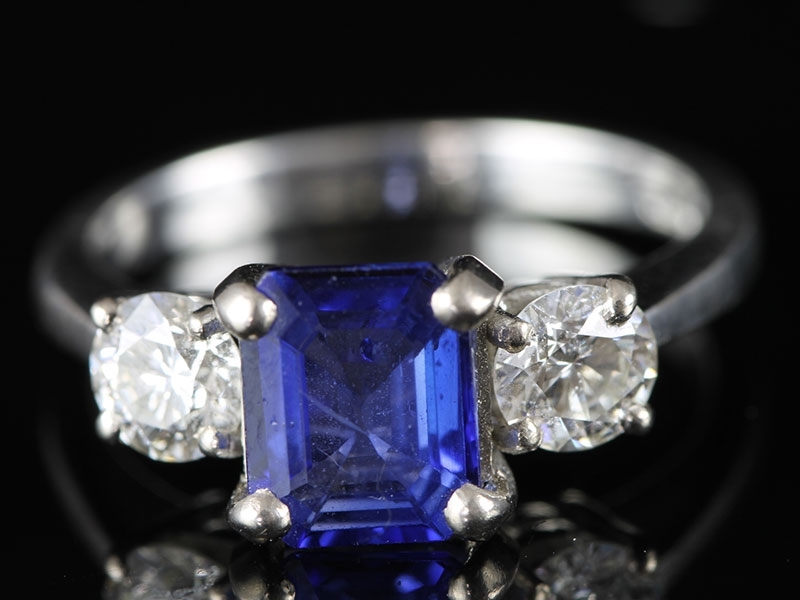 A radiant Rich French Blue 2 carat princess cut Sapphire. 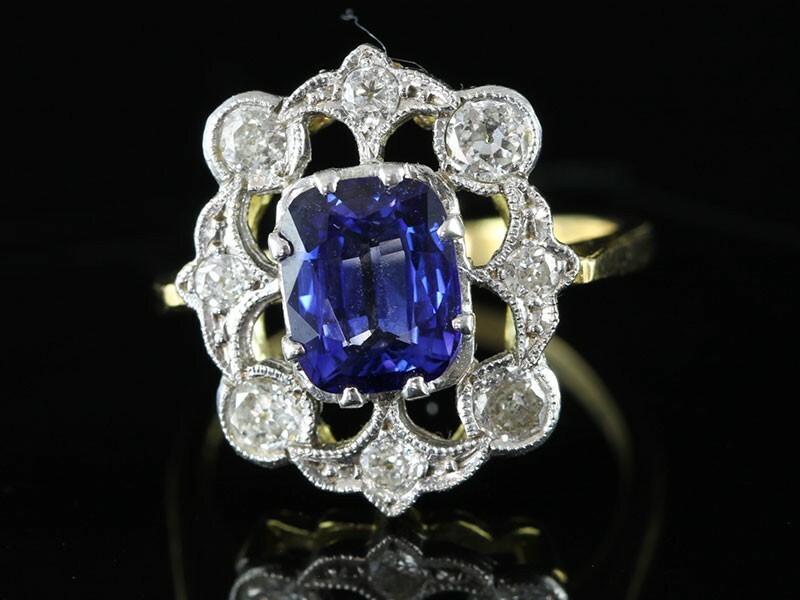 The Sapphire is the main attraction of this stunning ring. 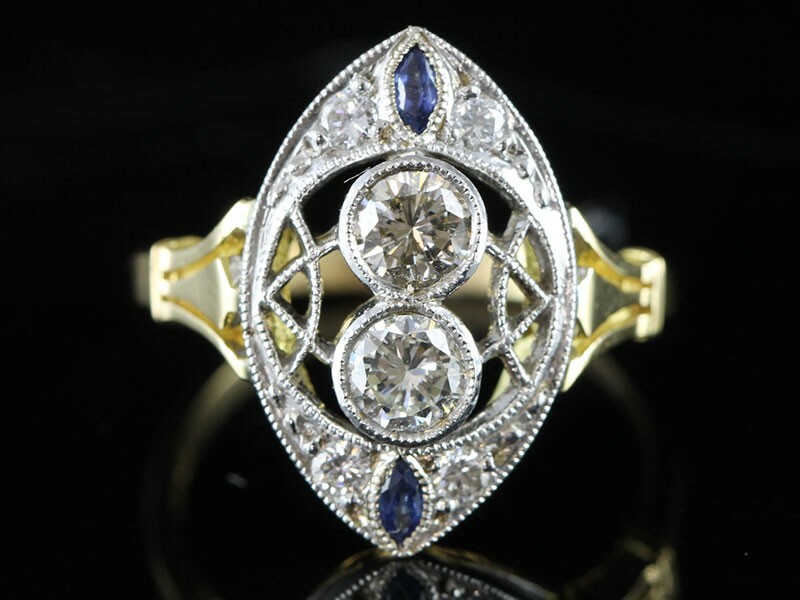 An irresistible Art Deco inspired ring of the most stunning design. Finely handcrafted in 18 carat Gold. Fine pieces like this come around once in a lifetime. This ring is so amazingly beautiful. 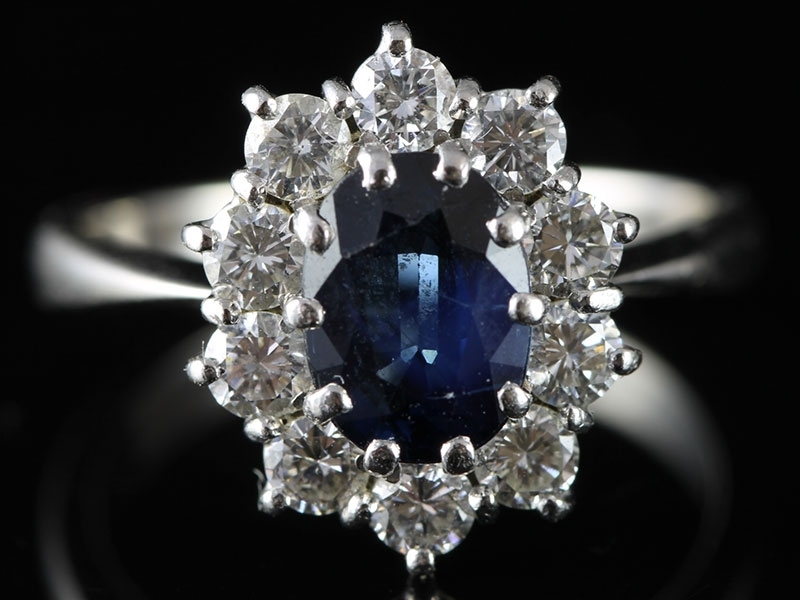 The spectacular heart shaped Sapphire at the center is significant and is very special for several reasons. 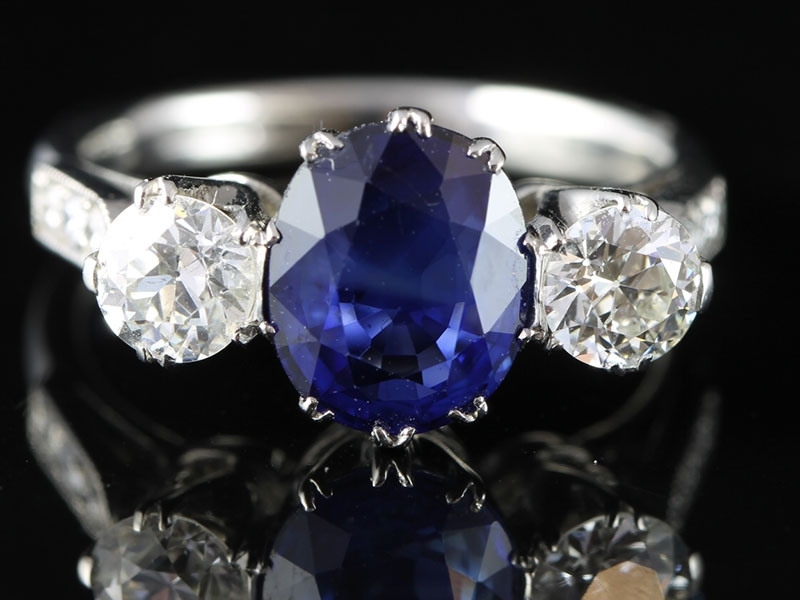 A regal Sapphire and Diamond trilogy ring, featuring a beautiful Rich Royal Blue oval cut one carat Sapphire is secured by 4 claws. 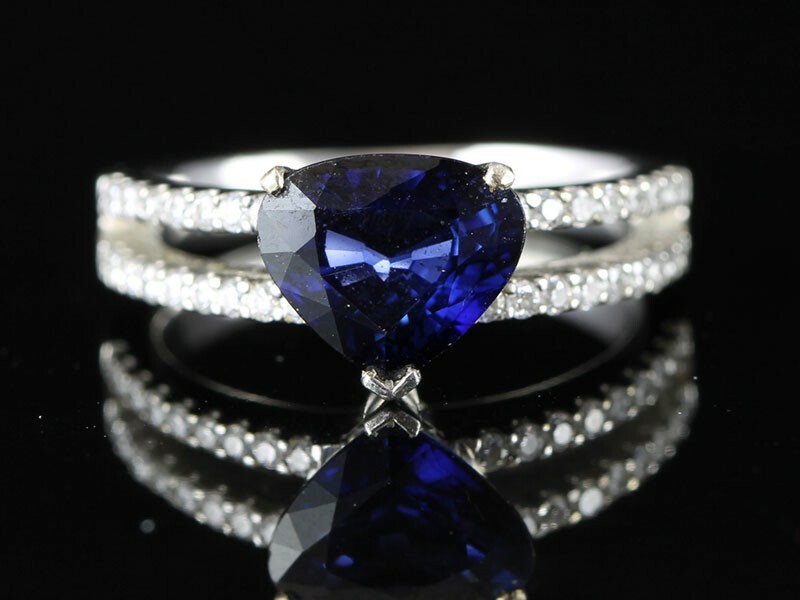 This wonderful trilogy ring is set with a 2 carat Rich Royal Blue princess cut Sapphire that has a magnificent colour with a mouthwatering hue. 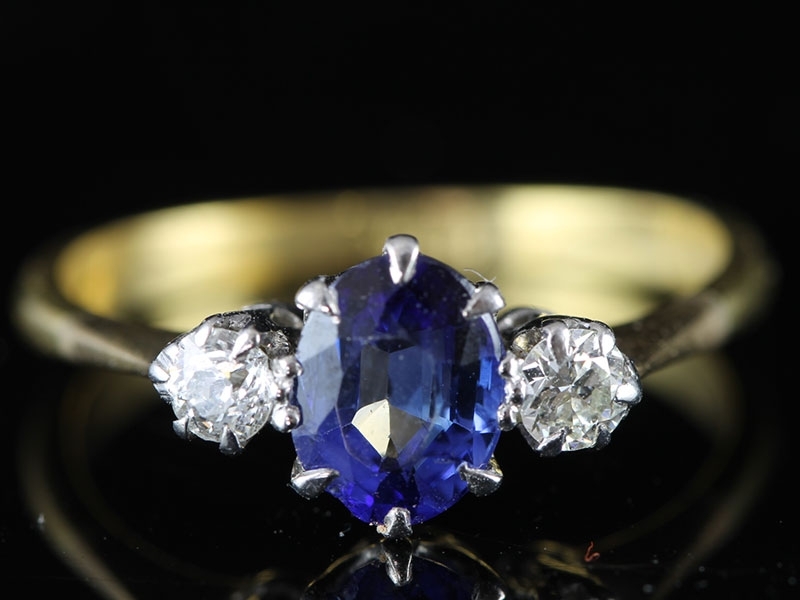 A radiant rich cornflower blue one carat Sapphire oval cut. 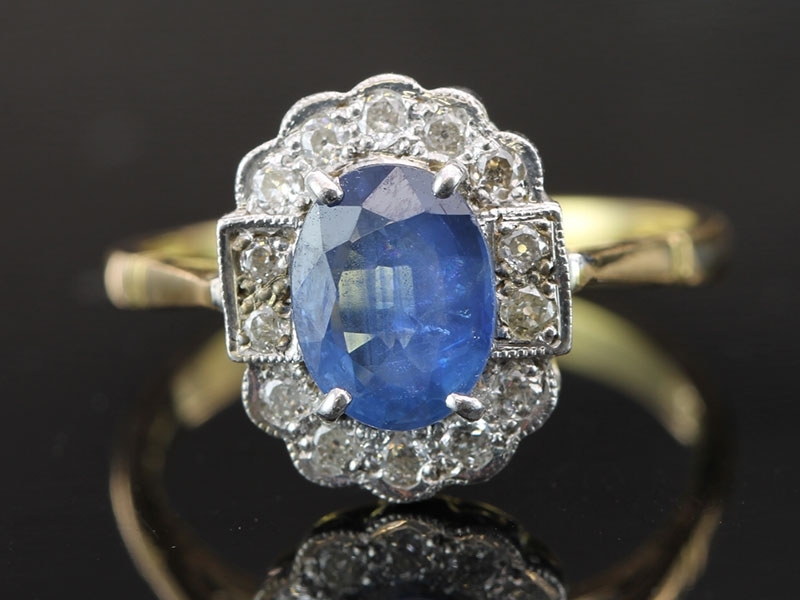 The Sapphire is the main attraction of this stunning ring. 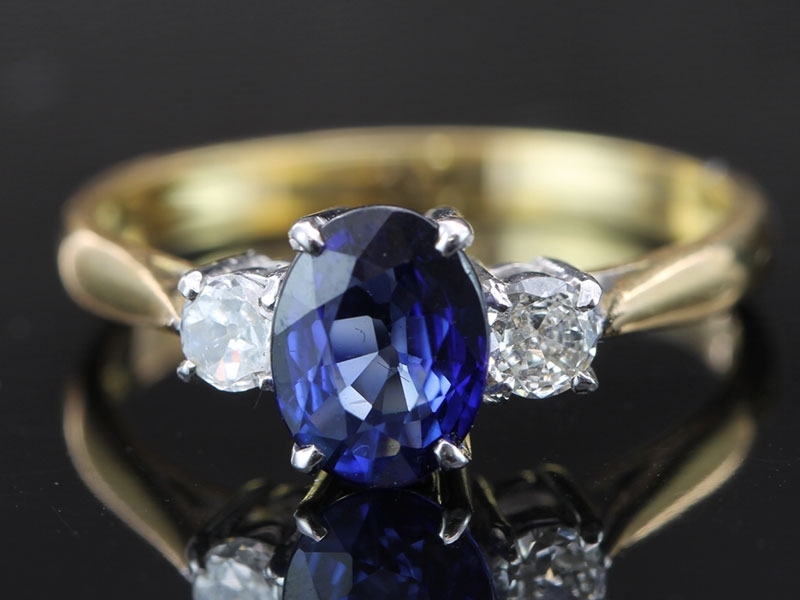 A stunning rich deep blue round Sapphire takes centre stage in this magnificent ring and is further enhanced by two sparkling Diamonds and would be a unique choice for an engagement ring or as a special gift for a loved one. 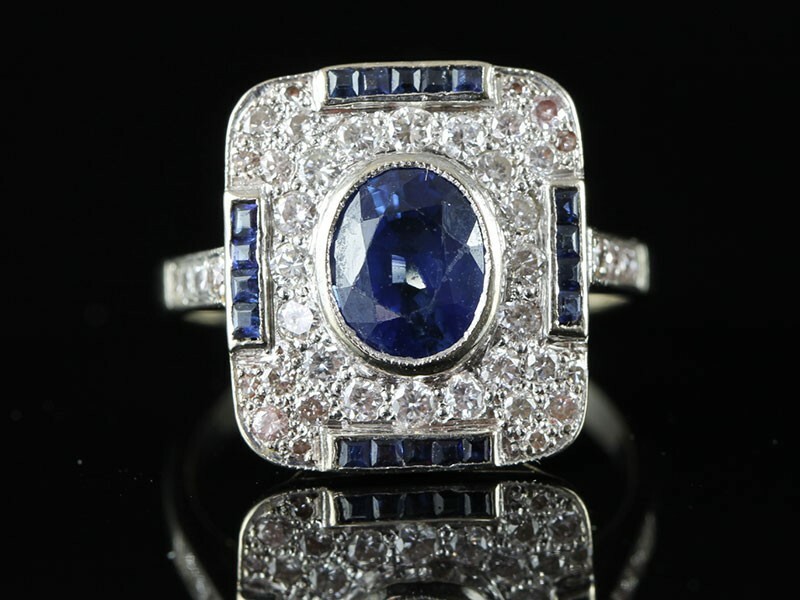 This exceptional ring has the 'wow' factor and will be sure to get noticed thanks to the Art Deco influenced design. This lavish 18 carat yellow Gold ring is the epitome of glamour. 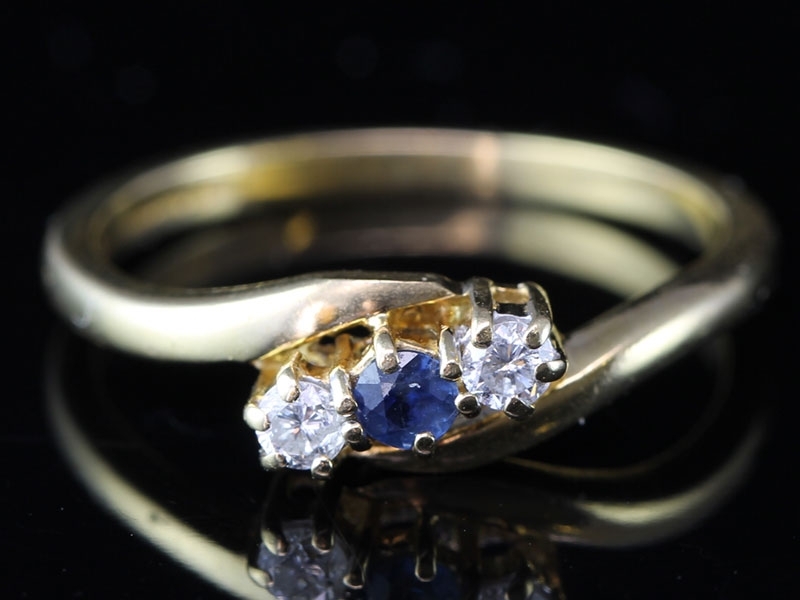 Boosting a rich royal blue oval Sapphire at it's centre flanked by two sparkling transitional cut Diamonds. 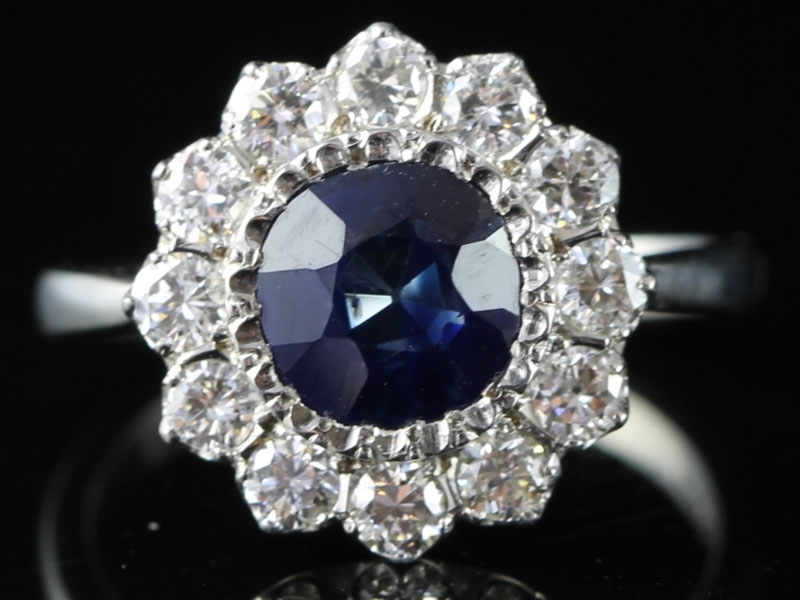 An incredibly glamorous flower adorns your finger in this one carat Ceylon Sapphire and sparkling Diamond ring hand crafted in 18 carat White Gold, creating a breathtaking blossom. 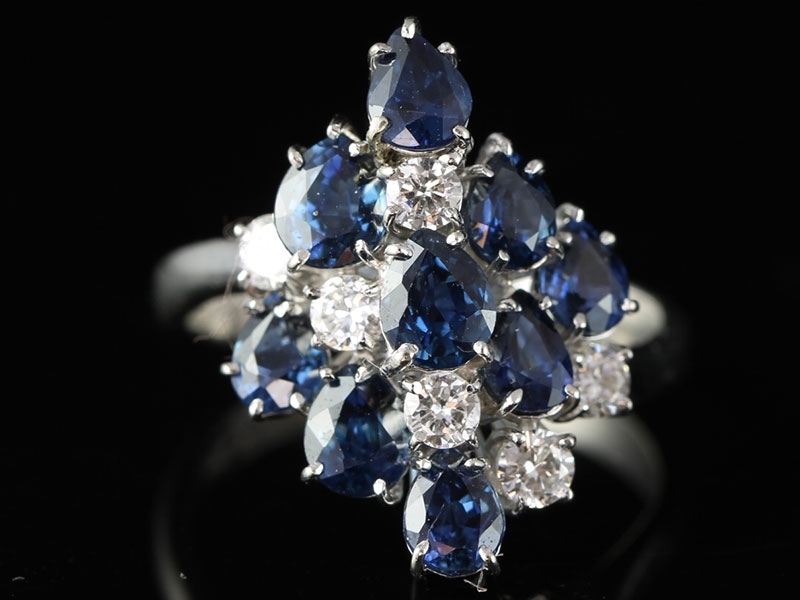 This magnificent Circa 1970's waterfall cluster cocktail ring is beautifully handcrafted in solid 18 carat white Gold and features 9 natural blue Sapphires and 6 sparkling crisp bright white Diamonds makes a sparkling statement on the finger!! 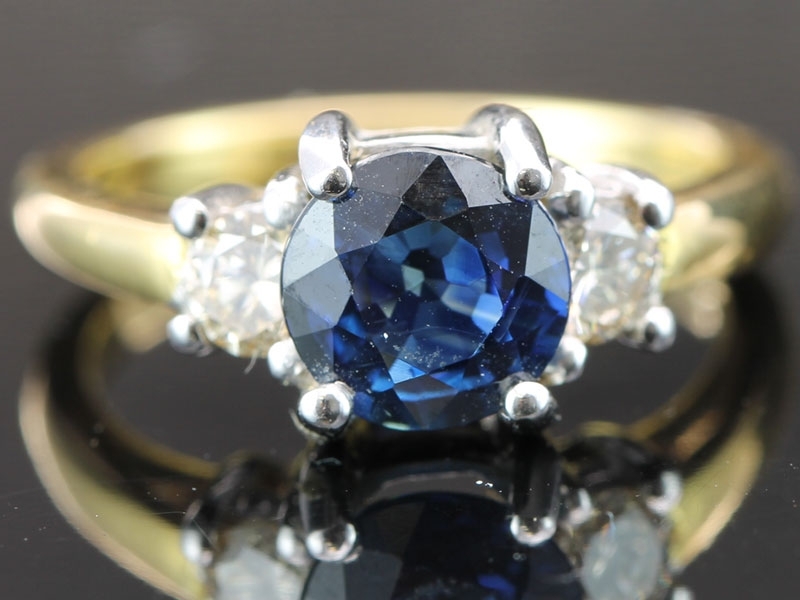 Treat yourself to this gorgeous Australian Sapphire ring accented with bright sparkling white Diamonds, and watch how many heads you turn. Crisp white sparkling bright white Diamonds contrast beautifully with the Rich Royal Ocean Blue Sapphire in this stunning 18 carat white Gold cluster ring. 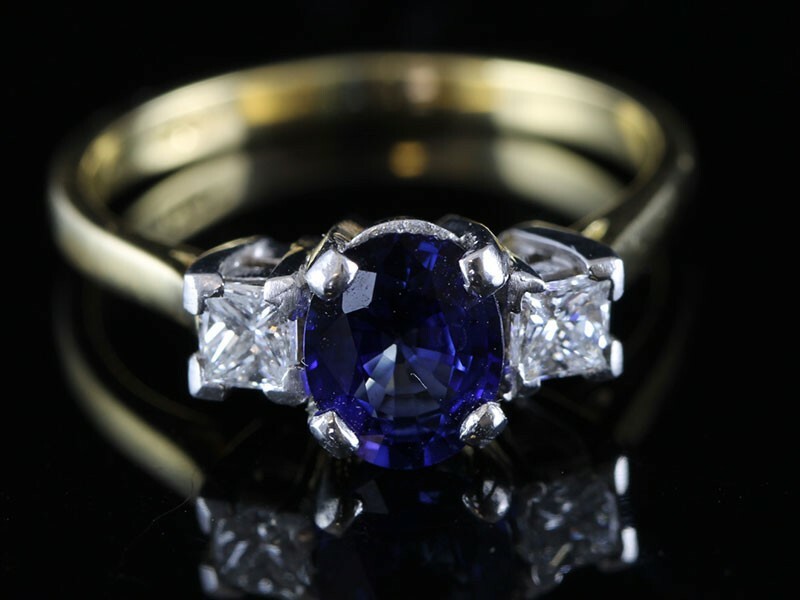 This pretty and glamourous ring is crafted with a single Rich Royal Blue Sapphire nestled between two round brilliant cut sparkling Diamonds.